27B TRAFALGAR STREET, DENTON HOLME, CARLISLE, CA2 5XX. 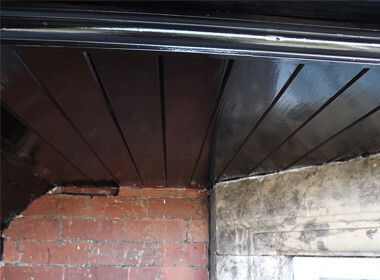 Old soffits repaired or replaced. Nick Hedley Roofing offer professional services in the installations, repairs & maintenance of guttering, fascias & soffits. We can provide expertise in this area across the regions of Carlisle, Cumbria and the Borders. 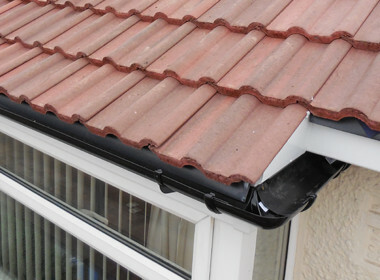 If you’re having any problems with your guttering or drainpipes, we can assist you in this area also with our guttering services. 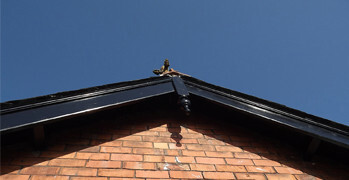 We offer downpipe and drainpipe cleaning alongside gutter repair and cleaning. 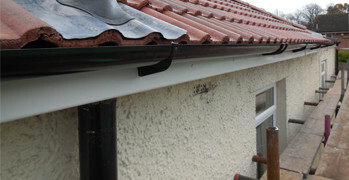 In addition, we can also install new guttering in both cast iron, plastic & aluminium. When it comes to Fascia Boards, our trained workmen are qualified to install, maintain repair and even replace both Timber & UPVC Plastic fascia boards. Our fascias services are available at competitive prices that can suit all budgets and all of work is completed to an excellent standard. In popular use, soffit most often refers to the material forming a ceiling from the top of an exterior house wall to the outer edge of the roof, i.e., bridging the gap between a home's siding and the roofline, otherwise known as the eaves. 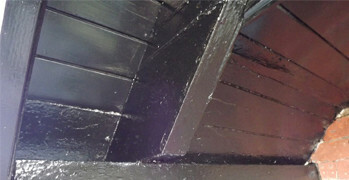 Our trained workmen at Nick Hedley Roofing also specialise in working with soffits. In line with government legislation, we can upgrade, replace or install new soffits to suit your individual property or business. 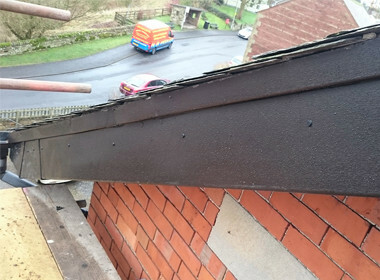 To learn more about our professional guttering, fasciaboard & soffit services, please fill in our CONTACT US FORM or get in touch in with us on one of the contact numbers below, we offer slate roofing services throughout Carlisle, Cumbria and the Borders.